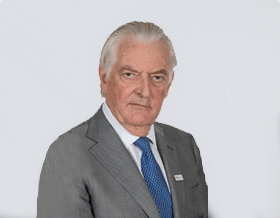 Mark Tompkins was Non-Executive Chairman of Allied Healthcare International Inc. one of the UK’s leading providers of domiciliary care and healthcare staffing services, from 2007 to 2009, serving as a Director from 2005 to 2009. From 2005 to 2008 he also served as Non-Executive Chairman of Healthcare Enterprise Group Plc, an international healthcare products company which was listed on the AIM market in London. Mark served as Conseiller Special aupres du Conseil D’Administration of Sodexo S.A. from November 2010 to August 2012 after serving as a Non-Executive Director from 2002 to 2010 and a member of its Audit Committee for six of those eight years. Other previous directorships have included Abbey Healthcare Group Inc., and Apria Healthcare Group Inc. Prior to his nonexecutive director roles, Mark served as the Chief Executive Officer of Compagnie Financiere Haussmann, a publicly listed company in France involved in property development, investment and management. Mark began his career in investment banking in 1964 with Samuel Montagu & Company (now HSBC). From 1965 to 1971, he was a Management Consultant with Booz Allen Hamilton, Inc., working on assignments in the UK, continental Europe and the U.S. Mark returned to investment banking joining Slater Walker Securities group from 1972 to 1974. He subsequently entered into international real-estate development from 1974 to 1987 investing in both residential and commercial assets across the Middle East, the United States and Europe. Since 1987, he has been focused on financing small and medium sized enterprises whilst also contributing at board level of a number of listed companies.